Hundreds of step-by-step photographs and concise descriptions show how to tie twenty patterns that will help anglers improve their chances of success in a variety of fly-fishing situations. Included are the Light Cahill, Muddler Minnow, Foam Beetle, Dave's Hopper, Goddard Caddis, Henryville Special, Olive Quill Dun, Kaufman Stone, and more--proven patterns that anglers will want to have in their fly boxes. How to palmer hackle, wind parachute hackle, make married wings, whip by hand, and other advanced techniques are covered. An enclosed DVD complements the text and photos. 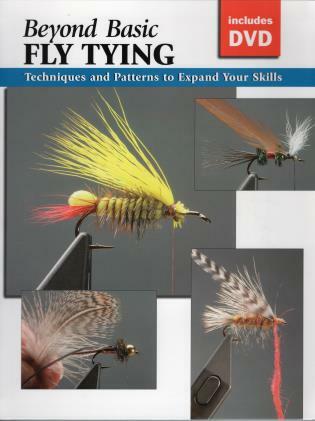 Marvin Nolte is a professional fly tier and instructor.